Burberry is a well-known English luxury fashion house, established in London in 1856 by Thomas Burberry. Although its distinctive check pattern has become one of its most widely recognizable signatures today, the Burberry brand originally became famous for the development and creation of a unique gabardine fabric, both breathable and waterproof, which was used in coats and other outdoor clothing. Burberry provided trench coats worn by British soldiers during World War I, and since then the Burberry brand has become so much a part of British culture that both Queen Elizabeth II and the Prince of Wales have granted the company Royal Warrants. Burberry was an independent family-controlled company until 1955, when it was reincorporated. Today it has become a symbol of British luxury and good taste, with notable actors, world leaders, musicians, and athletes wearing the Burberry brand. In addition to its iconic clothing and accessory lines, Burberry also offers a range of exclusive fragrances for both men and women. Burberry for Men was released in 1995. Today that flagship fragrance has been joined by an amazing array of other scents — there's something for just about everyone in the Burberry line. The company works with reputable master perfumers from around the world to produce high-quality, exclusive colognes. Let's take a look at what I consider to be the finest fragrances in Burberry's extensive collection. Nonchalant and effortlessly cool, the Brit for Men fragrance from Burberry is the epitome of the casual modern man. Created in 2004 by master perfumer Antoine Maisondieu, Brit cologne for men is dynamic and powerful without being obnoxious. The fragrance comes in a stylish rectangular bottle wrapped in the iconic tartan design that Burberry is credited with launching as a fashionable classic. In the fragrance of this cologne, classic elements of scent are blended with a modern touch, creating a representation of the modern English spirit, upholding tradition yet moving forward. Burberry Brit for Men gives you a touch of casual sophistication. It is nonchalantly refined without trying too hard. This is a modern scent with classic elements, in a cologne that is designed to make you effortlessly elegant in every situation as you go about your day. The oldest scent from Burberry that we are reviewing here, Burberry for Men is subtle yet powerful. First released in 1995, it was created by master perfumer Michel Almairac. It comes in a brown box trimmed with the classic Burberry tartan pattern, holding a simple clear glass bottle with a silver lid and silver lettering. This classically masculine cologne is a blend of warm, woodsy aromas, fresh and energetic, infused with warmth and vitality. This is the scent of the approachable gentleman who is friendly and trustworthy. It is a classic that you can wear for any occasion. I would say that the warm, woodsy notes make it especially suitable for wearing in the autumn and winter seasons. This cologne is very suitable for occasions when you want to present the classic image of the well-groomed man — but it is also a good choice for those times when you want to step outside the lines of everyday life and kick up your heels a little! The original Burberry for Men is a warm and approachable scent, simple and smooth, and undeniably masculine, a long-time classic and still a favorite. London for Men by Burberry is a fragrance for men that is classed as an Oriental scent, with spicy overtones, reflecting all the legend and adventure of the East. Launched in 2006, this fragrance was created by Antoine Maisondieu. Both the box and bottle come snugly wrapped in the iconic Burberry tartan, reflecting the fact that this cologne is especially appropriate for cold weather. This is a warmly-scented, spicy blend, as much a winter staple as a fuzzy scarf and sturdy boots. London is a scent for the distinctive, refined and stylish man who is both confident and passionate about all he does. It's a refined and luxurious blend that is perfect for your winter social life. After all, just because it is cold out doesn’t mean that you should live like a recluse! Mr. Burberry is actually one of Burberry’s newest fragrances, released early in 2016. It is meant to be the masculine version of My Burberry, which was released in 2014. Created by one of the world’s foremost master perfumers, Francis Kurkdjian, this cologne has a structure of both classic and contemporary fragrance notes, inspired by the British tradition of the effortless gentleman. The cologne comes in a sleek black box which evokes the classic Burberry trench coat. Inside is a modernistic glass bottle with the Mr. Burberry signature in black, accented by a black lid and a black ribbon, simulating a gentleman's bow tie. 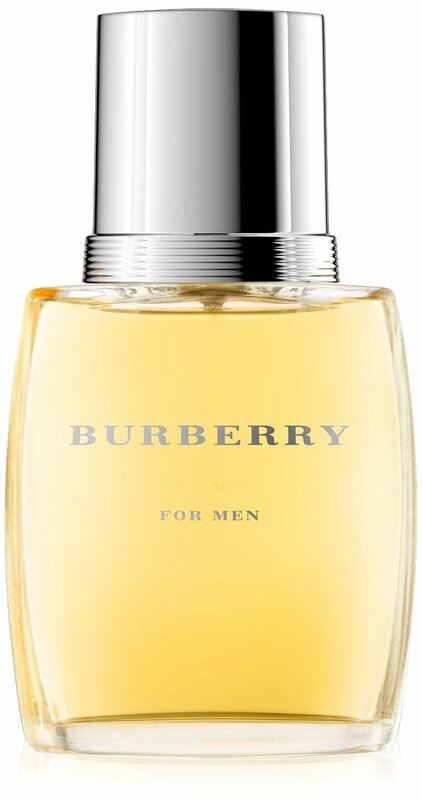 The scent of Mr. Burberry cologne for men is both woodsy and herbal, wearable and casual, yet elegant, a favorite of gentlemen around the world. Mr. Burberry Cologne for Men can be used for any occasion. It has what I would call a "professional" scent — light-hearted and ideal for daytime wear, to keep you at your best during your workday, whether you are at your desk or in the boardroom. The scent is distinctive, but you won’t have people choking on it in the elevator, and you won't appear to be "trying too hard" to impress. This is a cologne that exudes class and sophistication. I believe this cologne will become an ageless classic. Burberry is an iconic symbol of British style around the world. It is nonchalantly fashionable, refined and sophisticated. As a dapper man using a Burberry fragrance, you enter into a legendary world, one with deep roots in history, and with undeniable style and grace even today. 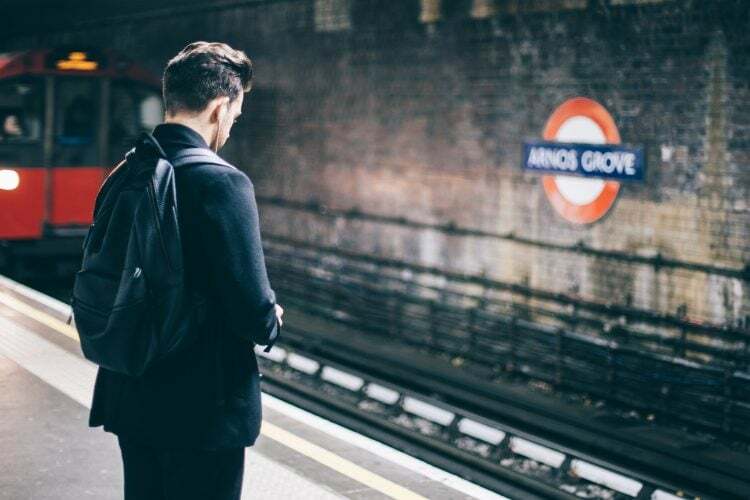 Wearing one of Burberry’s classic fragrances may help you feel a bit like a British gentleman, even in your own home town.